Come to the stunning vineyard and restaurant at Tokar Estate and enjoy some authentic wines and the most exotic cuisine that the Yarra Valley has to offer. Set against the scenic majestic mountain ranges, this winery is ranked among the Yarra Valleys finest vineyards. With its spectacular lush setting overlooking the hill ranges and the year-round manicured gardens, Tokar Estate is a must-visit winery during your next trip to the Yarra Valley. Enjoy walking across the peaceful setting of Tokar Estate and taste some of their exquisite wines and wide array of exotic gourmet dishes at the winery restaurant. This family owned winery welcomes all visitors to a breathtaking wonderland nestled among the most scenic areas in the Yarra Valley. In addition to planting traditional varieties of grapes in their vineyard, including Pinot Noir, Cabernet Sauvignon, Shiraz and Chardonnay, Tokar Estate were the first in the Yarra Valley to plant the Spanish varietal Tempranillo. Explore the winery’s wide choice of vintage wines and the vast collection of their newest releases. Try their flagship wine “The Aria” and the award-winning wine “Tempranillo.” But no wine can be fully enjoyed without a scrumptious meal. So order some of your favourite entrees, mains and desserts at their onsite restaurant. Tokar Estate has a seasonal restaurant menu which changes to reflect the region. With so many choices of excellent Mediterranean dishes to choose from, you will certainly find something to enjoy. Come to the cellar door and try their range of wines in a friendly setting. 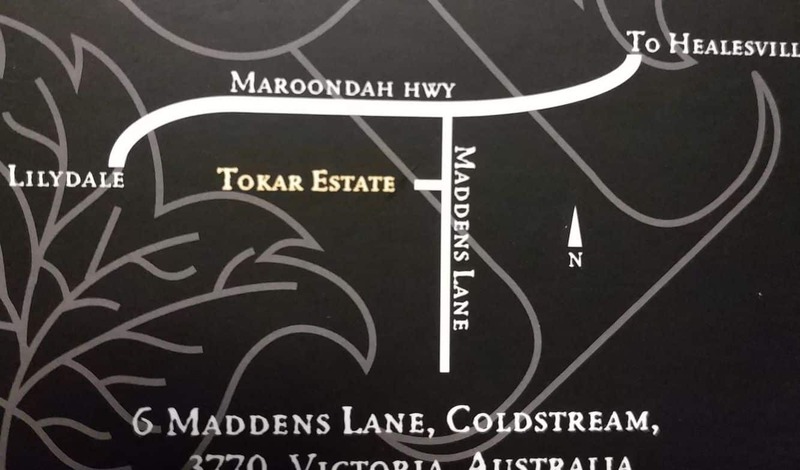 Their knowledgeable staff will guide you through the distinctive and award-winning wines grown and bottled at Tokar Estate.